Crystal Kordalchuk is the CEO of her company, Virtually Untangled. After working for several years in a job she hated, Crystal decided to throw caution to the wind and give the world of freelancing a try, knowing that she had an eye for detail and a talent in the areas of graphic design, website design, creative writing, and virtual assistance. Today, she has a successful business and is enjoying a more relaxed and rewarding life as her own boss. Crystal believes that people should never give up on themselves when considering the idea of working at home, despite their fears, knowing that it’s all worth it in the end. Listen in for all the details! 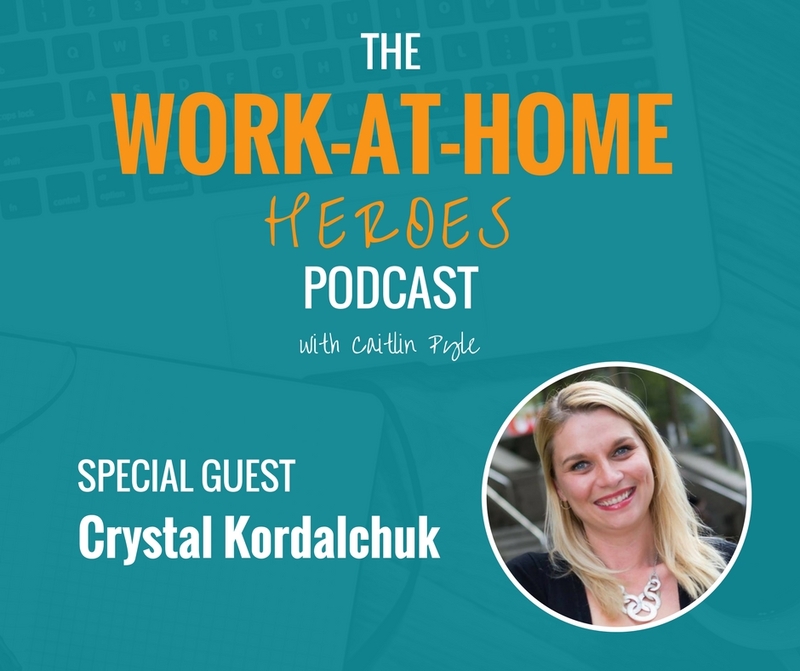 Read the transcript of The Work-at-Home Heroes podcast Episode 7 here. Be sure to join the Work-At-Home Heroes Facebook group! Check out the Work at Home School! In this episode, Caitlin mentions Proofread Anywhere. Click the link to find out more information! To visit Crystal’s website, click here! Would you like to get in touch with Crystal? Send her a message! We’d love you know what you think. Got a question for Crystal about this episode? Head over to the Work-At-Home Heroes Facebook page and ask on this dedicated thread! Previous Building beautiful, elegant, functional websites for a mix of clients all from home! Next Leveraging employee door-to-door sales skills to build an online business of your own! “Living to work” no more, this successful marketing consultant kissed his corporate job goodbye! This is the first of your podcasts I’ve listened too. I love the pace, quick but not too quick. It’s evident that you and the guest were both prepared so no one was at a loss for words. Crystal was easy to relate to, and she is an inspiration showing hard work pays off. The two of you seemed to have a great rapport from the first few seconds. Thanks for a very good podcast.